In which I elaborate on just exactly what the heck is going on here. It’s like this: I’ve always been a writer. I was a writer before I was a photographer, and before I was an actor and before I was anything, really. 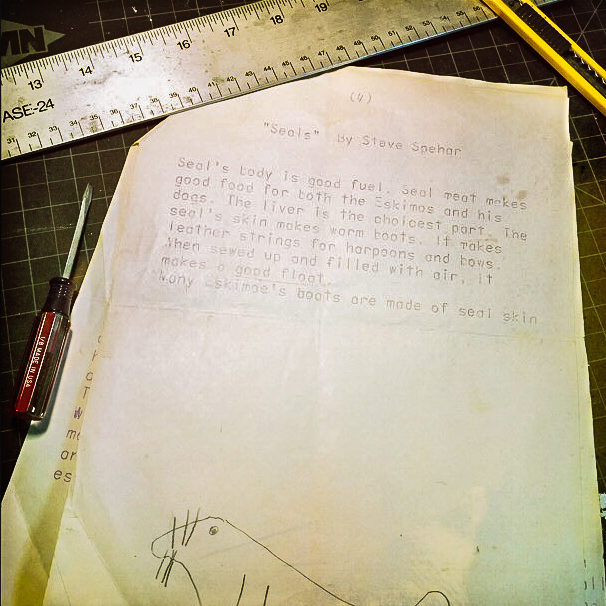 Writing was the first thing I identified as being something that I was kinda good at. And one of the things you hear a lot when you’re a young writer is that you have to write everyday. The writers you worship, the ones you emulate, the ones who bother to dole out advice to the neophyte, they all tell you. Your teachers too, when you start taking writing classes. Write every single day. They encourage you to keep a journal. It doesn’t matter what you write, they tell you, just write. I took it to heart. I kept a lot of journals, especially when I travelled. I wrote a lot of poetry and fragments and stream of consciousness notes and dialogues and sketches. Trying to acquire discipline, I guess, was part of it. Figure out if I wanted to do this thing, or if I needed to. I thought there was a difference. And I struggled with that internal dilemma that I imagine most young writers, or artists, must resolve at some point. That is, when do you feel comfortable referring to yourself as a writer? As an artist? As anything? Do I have to make a living at it? Do I have to make money at all? The labels have always made me a little uneasy, to be honest. Made me feel a little like an imposter. As have concepts like “authenticity” or talking about “my process” or referring to my body or voice as “my instrument” or using the word “craft” in any situation that wasn’t referring to American cheese. “My Early Work, circa 1973” Created: Marigny, 12/1/14. Format: digital via Hipstamatic app on iPhone 6. Right out of high school, I turned my back on writing. I decided that what I wanted to be was an architect. I decided this somewhat arbitrarily. Though I did (and still do) have an interest in lines and form and spatial design, it took me many years to admit to myself the real reason I had chosen that career path: Mike Brady. The occupation of the even-keeled (emotionally void) father of the Brady Bunch spoke to me somehow. I don’t recall ever seeing one of his blueprints, but the perfect little studio he worked in (in a house where 9 people shared 4 bedrooms, 1 bathroom and a neat plasticine yard) seemed an idyllic escape from his odd symmetrical family and all of their dumb problems. I’m pretty sure I’ve never told anybody that. And I digress. After two semesters at junior college of plodding through drafting and tedious technical drawing coursework, I switched gears and started taking journalism and theatre classes. Eventually, I migrated away from journalism, as well. I think it was because I couldn’t imagine the pressure of having to write every single day about stuff that didn’t interest me. So I decided to write poetry. And get a degree in acting. Yes, my two-pronged strategy for wealth and prosperity seemed foolproof, at the time. I haven’t kept a journal in years. The truth is, I barely write anymore, not counting the occasional social media rant, and this lack of production makes me feel guilty sometimes. I still wish to identify myself as a person who does that thing. I still want to write the great American novel, whatever that is, or the next great play. I have no desire, though, to draw or design interesting buildings. I’d rather take pictures of them. The truth is that you call yourself the thing when you do the thing. I write therefore I am a writer, I shoot photographs and so I am a photographer. Being the thing by doing the thing, and doing it all the time. It’s a prevalent concept in every discipline, really, which is probably why they call it a discipline. When you are learning an instrument, like the guitar, then you ought to play everyday. If you are a photographer, you will be encouraged to shoot as often as possible, to carry your camera at all times. (This advice was given to me in an era before we all carried our cameras with us at all times.) I seem to recall one of the classes that they offered at ICP was called “Roll a day”, or something like that, because the entire thrust of the class was that students would shoot and process a roll of film (see glossary) every single day. I didn’t take the class. It just sounded like insanity to me. These days it sounds downright existential. “Architecture of Nostalgia” Created: Marigny 12/1/14. 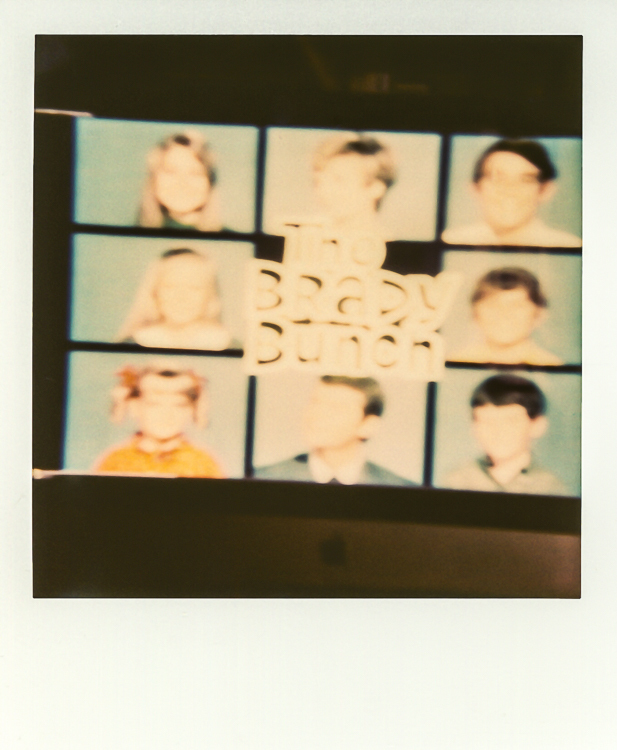 Format: digital scan of a Polaroid instant from a YouTube screen capture on an iMac. I set a goal for myself with this curation, a self-imposed mandate: to write every single day and to shoot every single day, for a month. The month of December. It’s self-indulgent, I admit, and yet the subject is not necessarily me, and my reasons are not wholly esoteric. It’s purely an exercise, on one hand. Hopefully, a way of revealing to myself how and why I frame a topic, both visually and verbally. The format will be fluid. The subject will not stand still. The subject will be the places I go and the people I know and the act of making in the act of being what we do. We are all surrounded by artists, though many of them would never use that word. Regarding the images, I would love to explore different mediums and forms of delivery, such as analog and instant film, but the specter of a daily deadline will probably lead to a preponderance of digital grabs, many undoubtedly on my iPhone. Ideally, I’m going to deliver images on the day they are captured, though this will be a challenge if I decide to try some film. At the very least, I won’t use an image unless it was taken on one of the 31 days of December, and I will be transparent about dates and captions. I have no idea how this is going to work, or if I’m capable of doing it. The pressure to meet my daily quota is mine alone. It is not required of me for this blog, nor will there be repercussions if I fail. Typically, when faced with a deadline, “my process” involves equal parts procrastination and desperation, with at least one torturous session of horrible self-doubt, and frantic, fear-inspired ramble and release. I’d like to subvert that awful experience, for once, and replace it with 31 days of one simple, yet relentless requirement: Shoot it. Write it. Post it.